Enjoy the beauty of a fire without the hassle! Electric fireplaces are a great alternative to wood or gas fireplaces. Easy and convenient to use, they require no venting or gas lines and add something special to your room’s décor. There are some electric fireplaces that truly stand out in their resemblance of a real fire, combining the convenience factor with the feel of a real wood-burning fire. 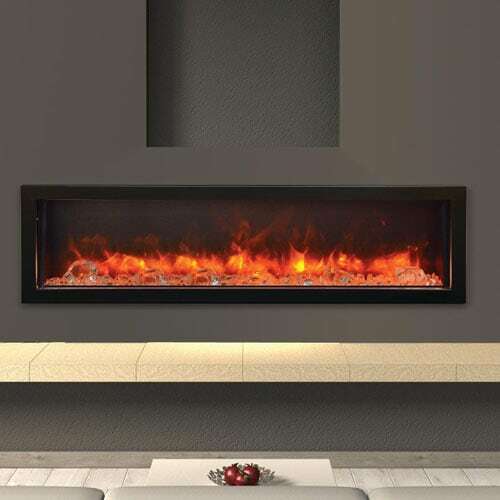 Below, we’ve listed the top 5 most realistic electric fireplaces, taking into account lighting, features, and special effects. Need a little more help deciding on an electric fireplace? Visit our electric fireplace learning center, read our electric fireplace expert reviews, or call one of our experts toll-free at 1-877-743-2269 and we'll help you pick the perfect fireplace for you home! The Napoleon Alluravision is a great option for people who want many customization options. 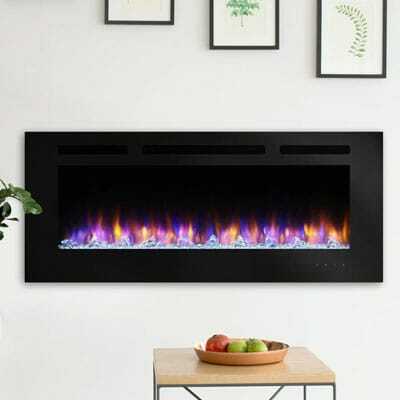 This versatile electric fireplace can be installed either wall-mounted or recessed into the wall. The ember bed and flames have numerous color options to mix and match for any room or mood. You can even control the heat and flames independently. This means you can enjoy the flames without having the heat on and vice versa. On-screen controls dim and disappear after 10 seconds to keep the attention on the flames, not the frame. Bring the beauty of an electric fireplace outdoors with the Amantii Panorama Electric Fireplace! This sleek electric fireplace can be used both indoors and outdoors. Choose from several flame settings and warm a space up to 500 square feet in style. 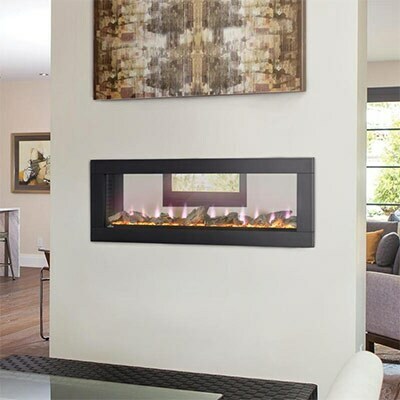 The SimpliFire Allusion Wall Mount Electric Fireplace brings a modern feel to any room. With the ability to hang on a wall, install fully recessed, or install partially recessed in almost any wall, you have many options for where and how you want to feature this fireplace in your home. Enjoy four flame colors and fourteen ember bed colors which give you the opportunity to create your own look. 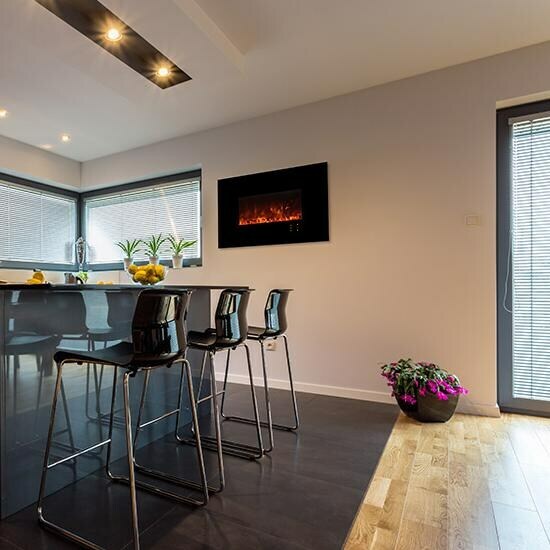 Make a bold statement in your home with the market’s first see through electric fireplace. This impressive unit allows you to set different temperatures for both rooms this electric fireplace faces. The CLEARion features ten different ember bed color options and three flame options allowing for endless combinations so you can create your own unique look and feel. 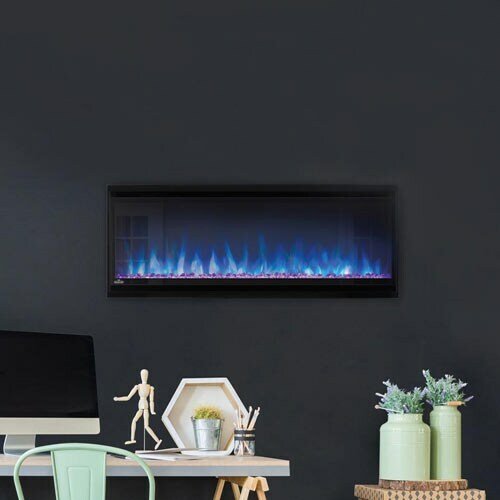 This gorgeous electric fireplace offers a sleek and contemporary look with beautiful flames that will transform any space. The Modern Flames Ambiance CLX2 boasts heat control with a built in thermostat and can be operated with or without heat.